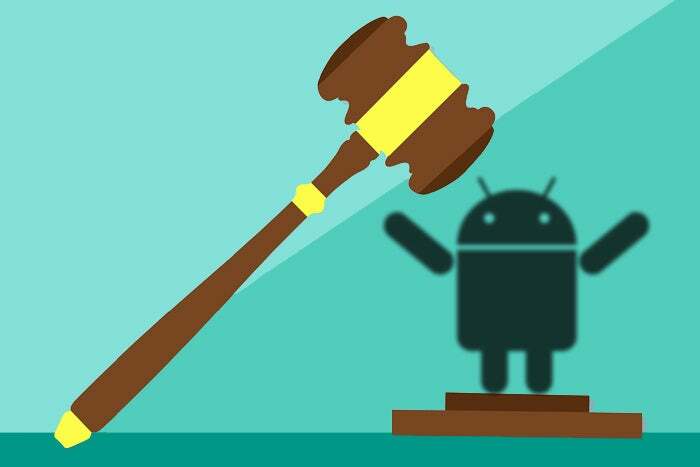 European regulators are fining Google $5 billion and demanding changes to the way it manages Android — but their assessment doesn't entirely add up. Is Google abusing its power as the gatekeeper to Android? Antitrust regulators in Europe seem to think so — but reading over their ruling, I can't help but be struck by some inconsistencies between their assessments and the realities of Google's mobile platform. In case you've been napping for the past couple days, the European Union slapped Google with a $5 billion dollar fine as part of an antitrust investigation. The EU says Google is stifling competition by forcing phone makers to preinstall Chrome and Google Search on their Android devices as part of a broader package of Google services — and by preventing partners from developing devices based on unofficial "forks" of Android (spoons, thankfully, are still permitted). Google has already announced plans to appeal. Now, I'm certainly no lawyer — heck, I don't even play one on TV — but from a strictly logical perspective, a few prickly problems keep catching my attention. Take a few minutes to think through 'em with me, won't ya? A key part of the EU's objection is the fact that Google requires manufacturers to ship Chrome on their devices if they also want to include access to the Play Store and other Google services (which most manufacturers obviously do). Preinstallation can create a status quo bias. Users who find search and browser apps preinstalled on their devices are likely to stick to these apps. The EU goes on to say that Google's bundling of Chrome with its overall services package has "reduced the incentives of manufacturers to preinstall" competing apps as well as "the incentives of users to download" alternate browsers. Okay, Mr. Bigglesby. But what about the fact that Samsung — the world's largest phone manufacturer, Android or otherwise — preinstalls its own browser, Samsung Internet, on its Android devices? Chrome is present on those phones, too, of course, but Samsung Internet is usually the more prominent option. It's typically placed in the dock area of the home screen — unlike Chrome — and it's set to be the default browser for opening links from third-party apps in at least some configurations. 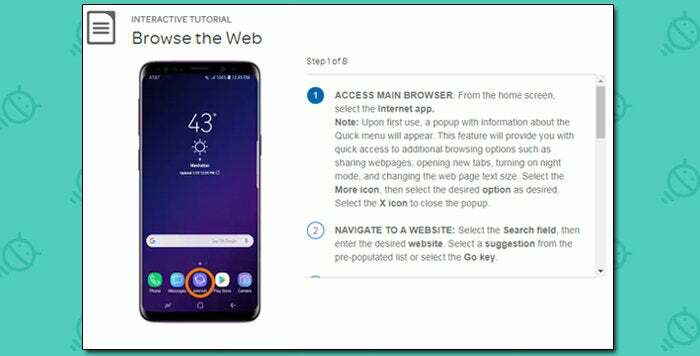 The Galaxy S9's user manual describes it as the device's "main browser" and instructs users to find the icon on the home screen and tap it whenever they want to browse the web (thank goodness for such astute instructions!). As for the bit about incentives for users to download other apps — well, the Firefox Android app has more than 100 million downloads, Opera and Opera Mini have 100 million apiece, Samsung's browser is listed in the Play Store as having 500 million installs, and the cross-platform UC Browser has 500 million Android installations (with another 100 million for its Mini version). Countless other more niche-level browsers are present in the Play Store, too, many of them with tens of millions of downloads to their names. And remember, Android allows you to set any of those browsers to be the system default for opening links from third-party apps — which is a heck of a lot more than we can say for certain other mobile platforms. The second main objection in the EU ruling revolves around the idea that Google requires device-makers to "preinstall the Google Search app" — and that the company, in some cases, apparently strikes deals with certain manufacturers or carriers to ensure no other search services are installed. That being said, just like on the browser front, Android device-makers most certainly can preinstall and emphasize alternate assistant services. Samsung is once again an easy example: On the company's recent phones, its Bixby service is by far the most prominent search and virtual assistant interface (often to an irksome degree). Bixby, not Google Assistant, has its own dedicated hardware button. Bixby, not Google Assistant, is present as a dedicated panel to the left of the main home screen. And Bixby, not Google Assistant, is set to be accessible anytime via voice command. In an ironic twist, of course, the emphasis of Bixby over Google's service is almost universally panned as being one of the weakest points of Samsung's mobile offerings. But that's another story for another day. Let's zoom out to a bit of big picture perspective: Any company is free to use the open-source Android code without paying Google or agreeing to any terms, just as Amazon does with its Fire devices. What this whole debate comes down to is Google's agreement for what it calls Google Mobile Services — a "proprietary suite of apps" that includes Google Play along with Gmail, Maps, YouTube, and other core Google products. You can think of it as a layer that's technically separate from Android itself but a closely connected part of what most of us would consider the "Android experience." That layer is the part of Android that actually makes Google money — that keeps users connected to its ecosystem and allows the company to collect data and ultimately serve ads in search (which, still today, is the heart and soul of Google's business). The layer includes not only the front-facing Google services but also a number of behind-the-scenes utilities — things like Google Play Services, which powers the Google Play Protect system and helps keep Android devices safe and current on a number of levels. From a business perspective, how could it possibly make sense for Google to maintain not only Android itself but also that extra layer of value — the layer that truly makes the Android experience what it is — and then provide all of that to third-party device-makers without getting the primary benefit that Android brings to it in return? The EU is effectively asking Google to let the hardware manufacturers have their cake and eat it, too. From a user's perspective, meanwhile, we've seen what Android looks like as a wild, wild west — and golly jeepers, it ain't pretty. In the platform's early days, before Google asserted as much control over what manufacturers and carriers could do, Samsung's first Galaxy S phone was turned into an unrecognizable mess by Verizon. The carrier rebranded the phone as the "Samsung Fascinate" and made its own crappy and cost-incurring services like "VZ Navigator" the preinstalled defaults, with Google's equivalents nowhere to be found, and even went as far as to lock down Bing as the phone's default search provider — with no easy way to change it. The user experience was abhorrent, to put it nicely, and advisable for practically no one. Google's standards now allow Android to remain open and flexible while maintaining a certain level of ecosystem-wide consistency and quality control. Assistant, specifically — with its various features and integrations — has become a defining part of Android and a unifying thread that connects devices into a much broader ecosystem. Omitting it from phones would serve mostly to create inconsistency, confusion, and subpar user experiences. And Assistant is just one piece of a much bigger puzzle. Does anyone (aside from the carriers) really want to see more "Samsung Fascinate" fiascos? Now, all of this isn't to say that the situation is completely black and white. On the surface, at least, the part of the EU complaint about Google preventing partners from selling any devices with alternate implementations of Android while also selling Google-approved Android products seems like a valid concern over potential abuse of power. And there might actually be some legitimacy to a middle-ground notion of, say, providing a more explicit prompt that points out the possibility of browser or search choice during a device's initial setup ("For your default web browser, would you like to use Google's Chrome app, use Samsung's Internet app, or look for additional options in the Play Store?"). But to suggest that Google is flat-out limiting manufacturers' abilities to offer competing services or eliminating users' incentives to seek out such options seems very much at odds with reality. And to suggest that users would ultimately benefit from less consistency and control across the platform seems oblivious to the lessons from Android's past. You don't have to be a lawyer to see the logic in that.